Israel is a top weapons exporter, with sales last year surging to $ 6.5 billion. New Delhi: India has signed a weapons deal with Israel for nearly $2 billion in what's being described as the "largest defence contract" ever signed by the military exporting giant. The deal will provide India with an advanced defence system of medium-range surface-to-air missiles, launchers and communications technology, the state-owned Israel Aerospace Industries said in a statement yesterday. 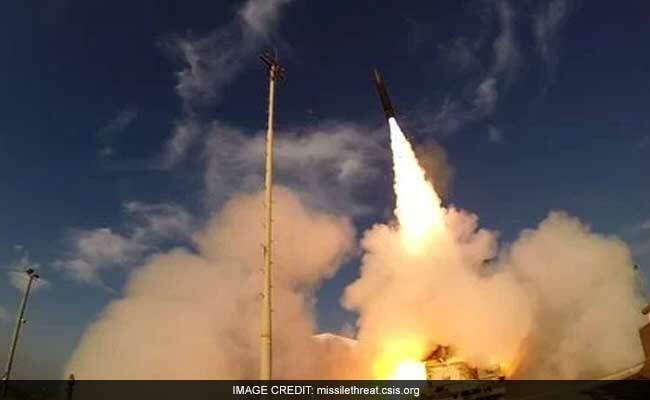 The "mega" missile agreement is "considered to be the largest defense contract in Israel's defense industries' history", the company said, stressing that some components will be assembled in India, in line with Prime Minister Narendra Modi's push to reduce reliance on costly imports. The Israeli firm will also supply a naval defence system including long-range surface-to-air missiles for India's first aircraft carrier, which is still under construction. PM Modi's government has raised the limit on foreign investment in the defence sector and encouraged tie-ups between foreign and local companies under a 'Make in India' campaign. India - the world's largest defence importer - has been investing tens of billions in updating its Soviet-era military hardware to counter regional rivals China and Pakistan. Israel is a top weapons exporter, with sales last year surging to $ 6.5 billion. India is a top market for its arms, as New Delhi has turned increasingly away from traditional ally Russia for its military hardware.